Visit Kenya, the land of the National park with Kenya Safari to witness the marvelous wildlife. Kenya Safari discover the astonishing Kenyan highlights such as vast savannah plains and scorched deserts interrupted by snow-capped mountains, beautiful highlands, and equatorial forests. The scenic coastline possessed with the atmosphere of a paradise island scattered with colorful coral reefs. 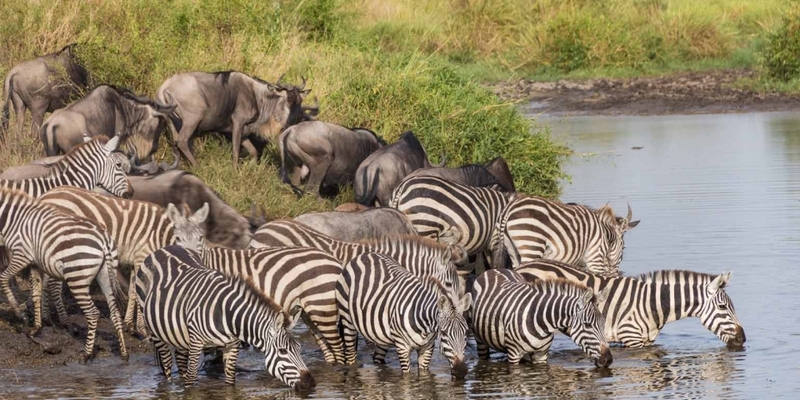 The famous wildebeest herds of Maasai Mara are only a fraction of the unique wildlife you will see in this bio-plush atmosphere by Kenya safari, which is the final destination of Africa’s Great Migration. Hell’s Gate National Park harbors obsidian caves and hisses with natural geysers aside steaming hot springs. Visitors can snorkel and dive along fish-rich coral reefs, relax on pearly beaches, and experience the melting pot of cultures and cuisines on this Kenya Safari. This region plays host to an unrivaled array of birds, mammals, and reptiles. 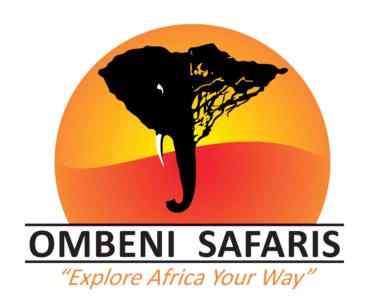 Experience the heart of East Africa – Kenya and Tanzania. Extensive game drives in our 7-passenger, open-top jeeps for unobstructed wildlife viewing with our expert safari guides through the wondrous Kenya Safari. All park fees, all meals (breakfasts, lunches, and dinners) are included in this Kenya Safari and other safaris. Enjoy house wines and beverages at both Lemala camps. Spend your nights in our luxury lodges and camps with breathtaking views over the dramatic, game-filled landscapes on this Serengeti wildlife safari. From Amboseli National Park to Maasai Mara National Reserve, this Kenya safari tour takes visitors by air to some of Kenya’s most beautiful regions for excellent game drives. Our guests enjoy small and intimate tented camps which are perfect for couples celebrating milestones or for those trying to avoid the crowds. 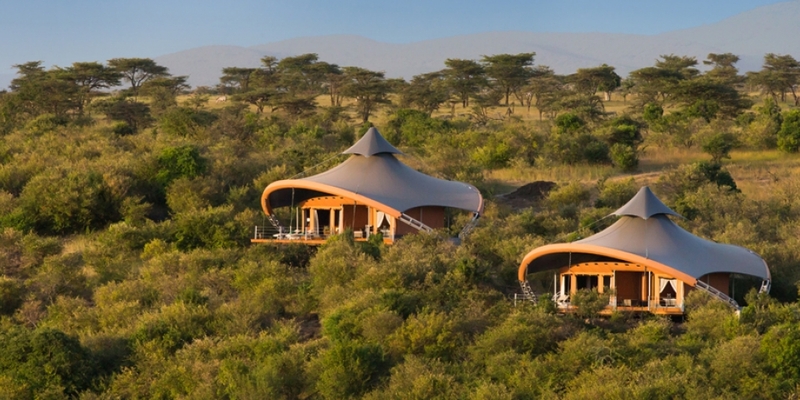 Highlights of this private safari in Kenya includes stunning views of Mt. Kilimanjaro and the vast savannah plains of the Maasai Mara Game Reserve. 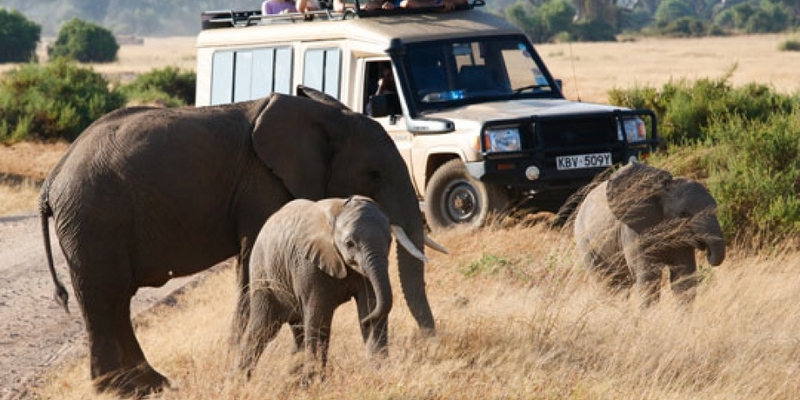 Private safari in Kenya is an excellent option for your private family safari. This once-in-a-lifetime tour highlights the best of Kenya, Tanzania, Botswana and South Africa. Meet the famous Big Five in the world’s best national parks, feel the spray of the majestic Victoria Falls, waddle with penguins and explore Africa’s most exciting cities. From luxurious tented lodges on the slopes of the wild savannah to charming city hotels nestled in lush private gardens, you will experience Africa in all its glory. When it comes time to discover Africa’s wild heart, the expert safari guides will take you closer to the action than you ever imagined possible.